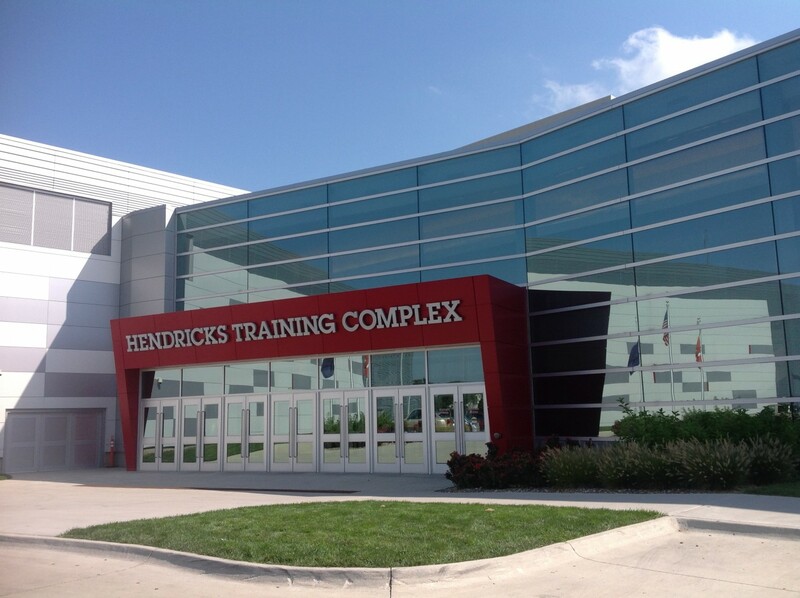 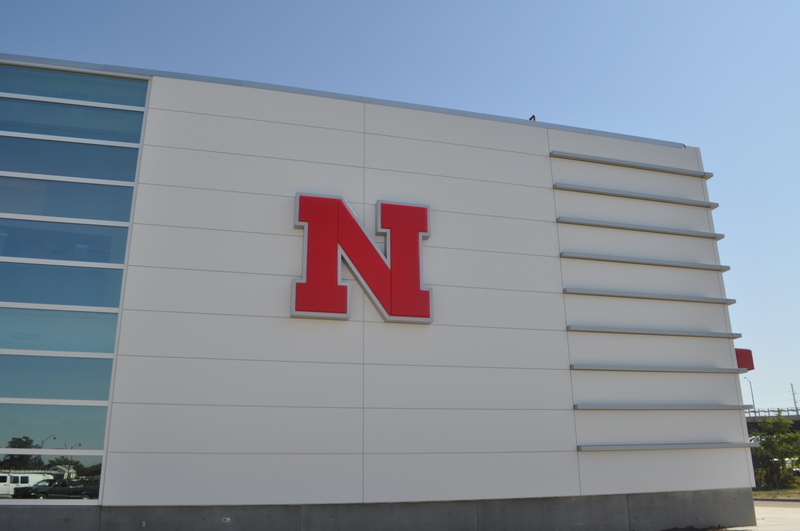 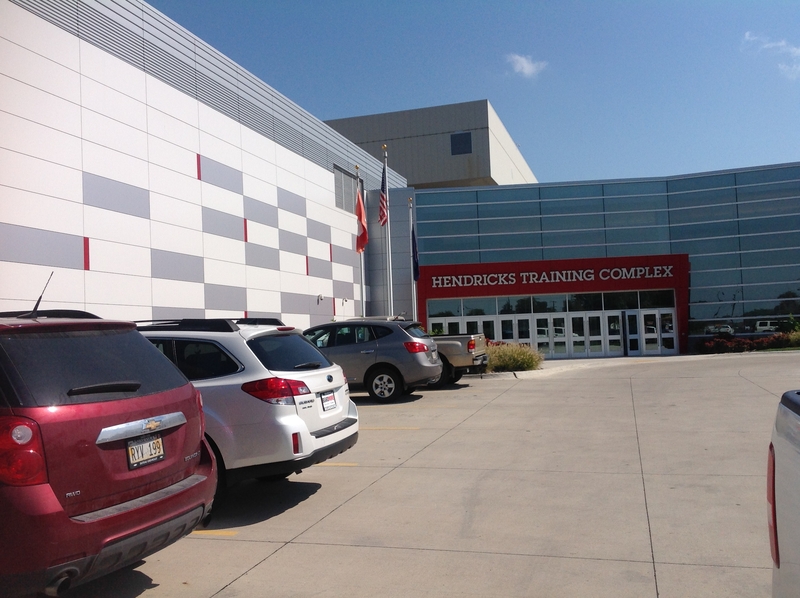 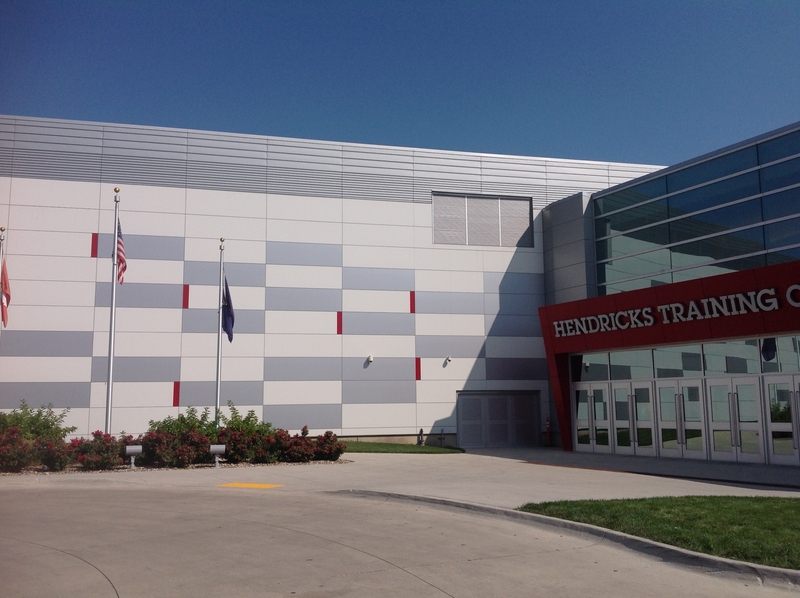 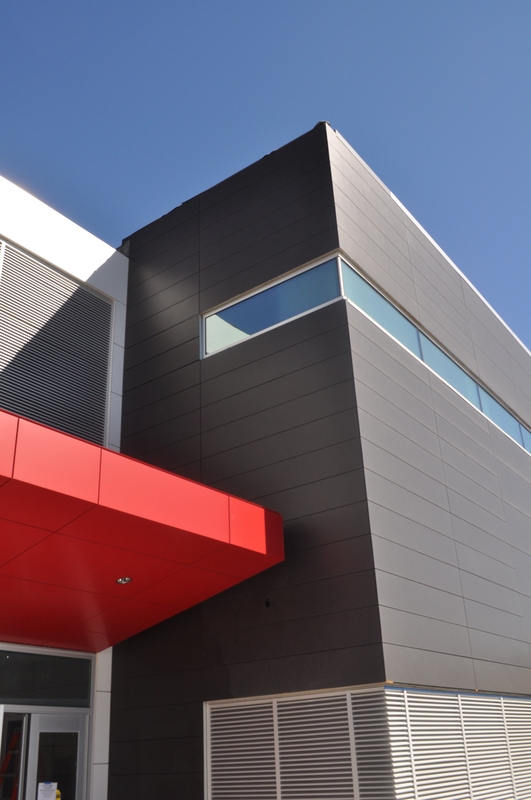 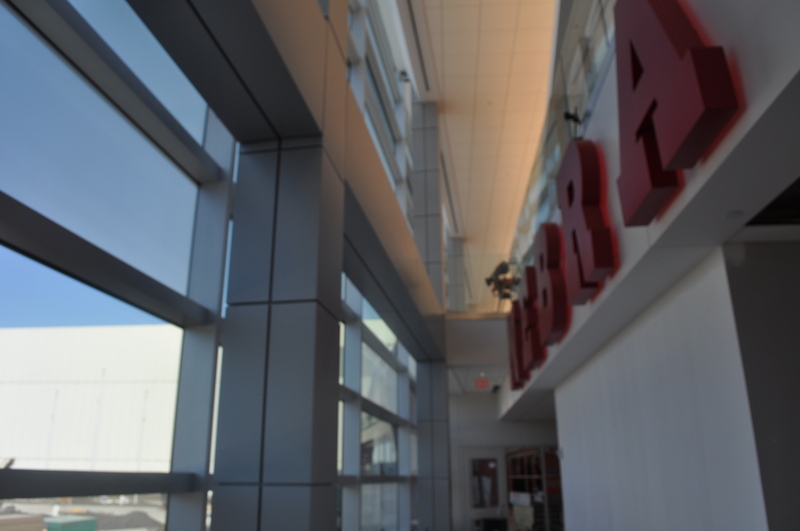 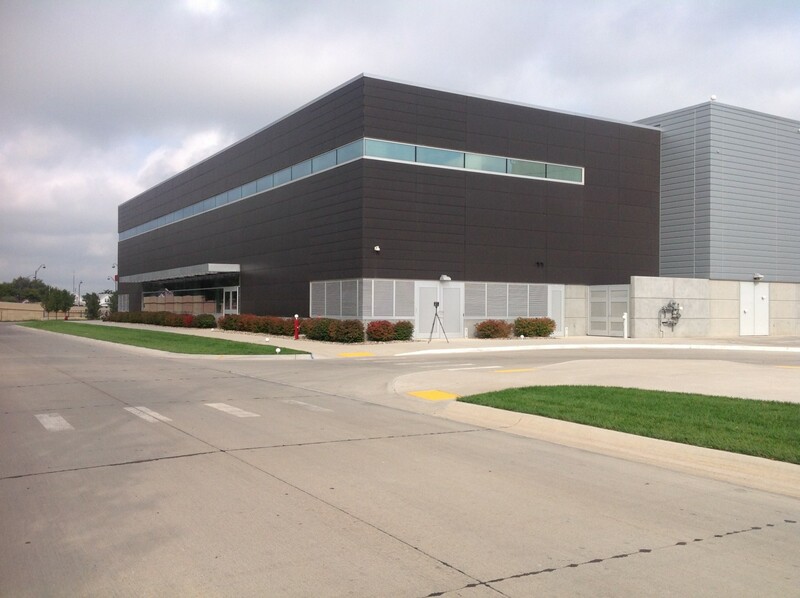 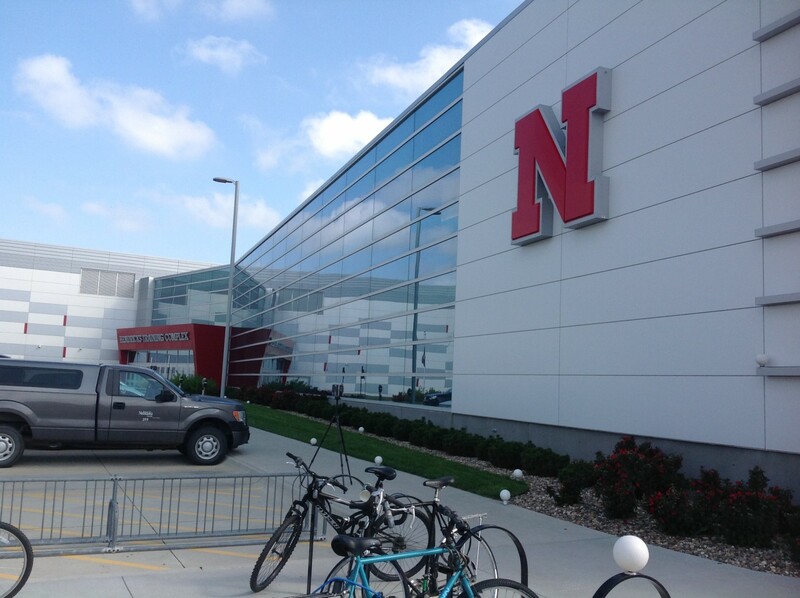 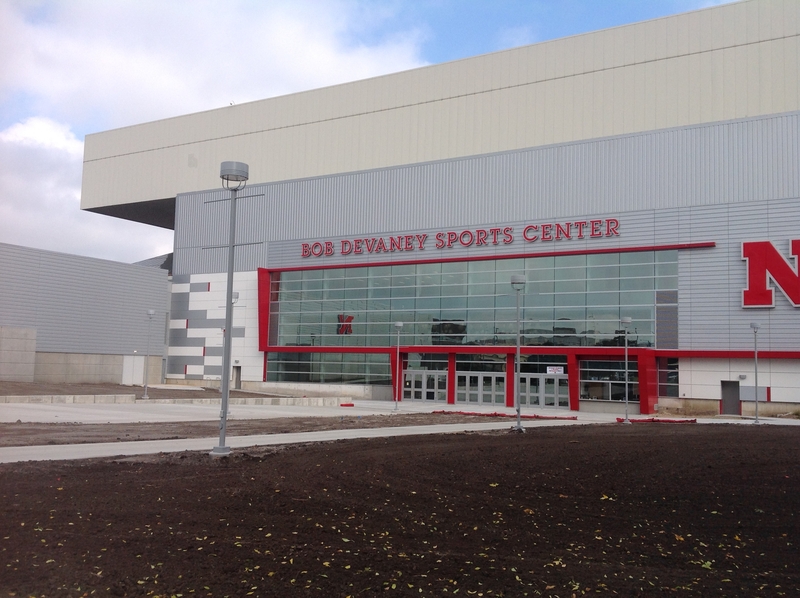 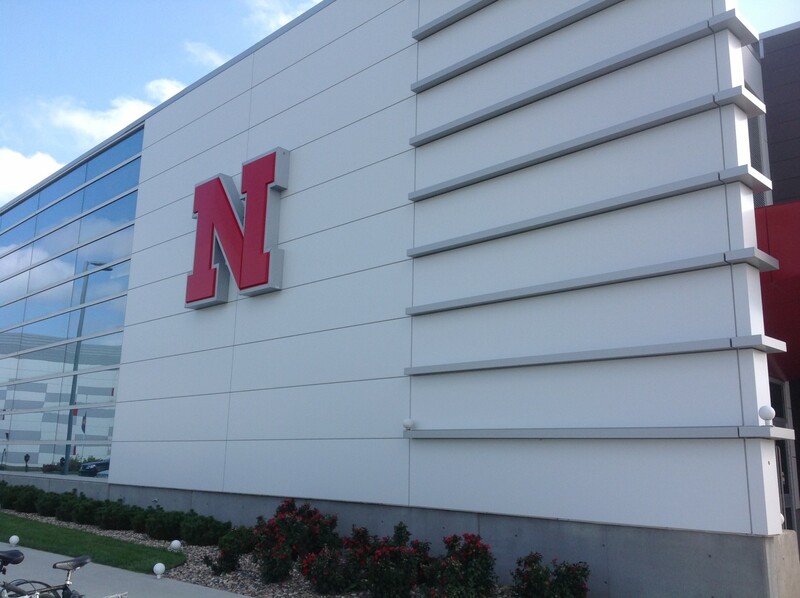 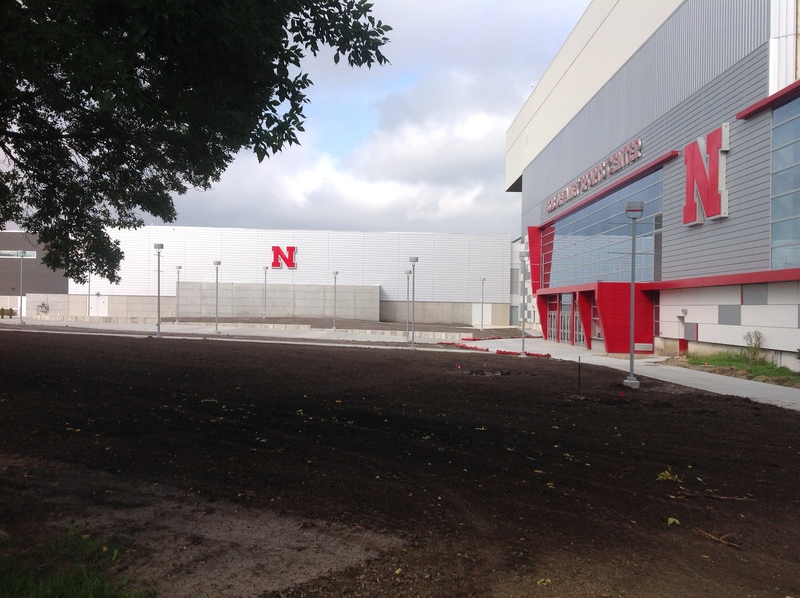 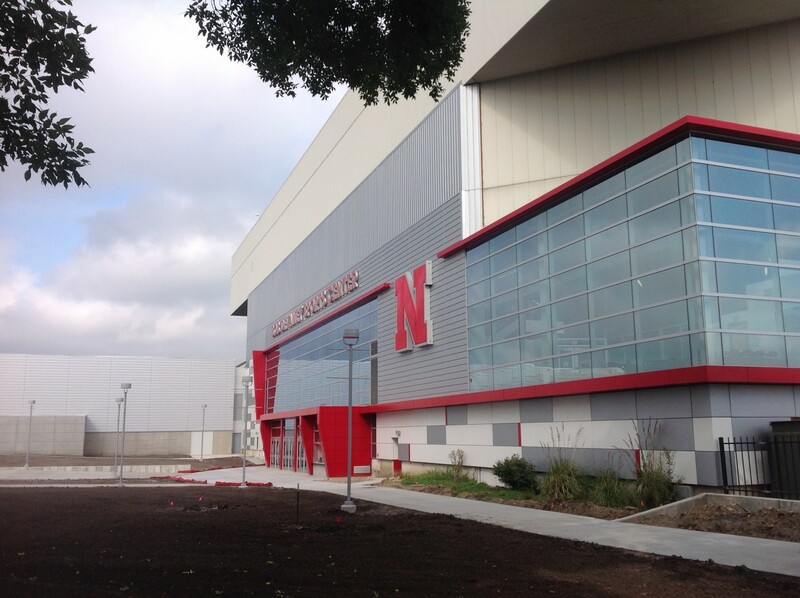 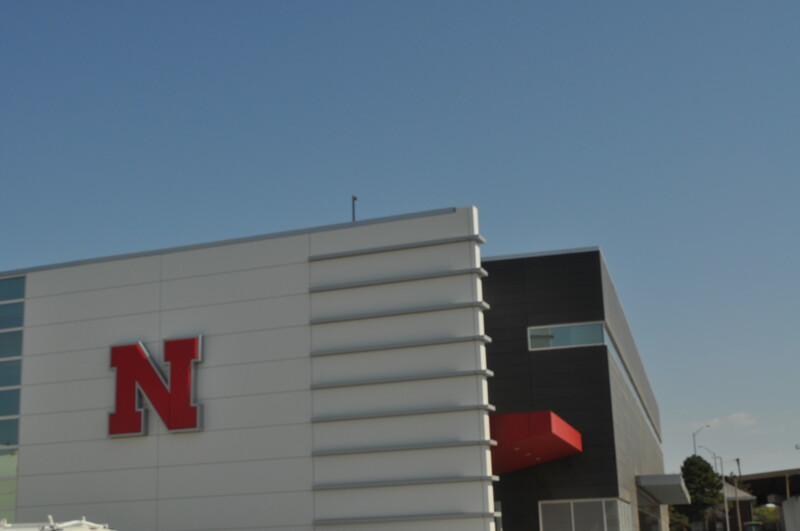 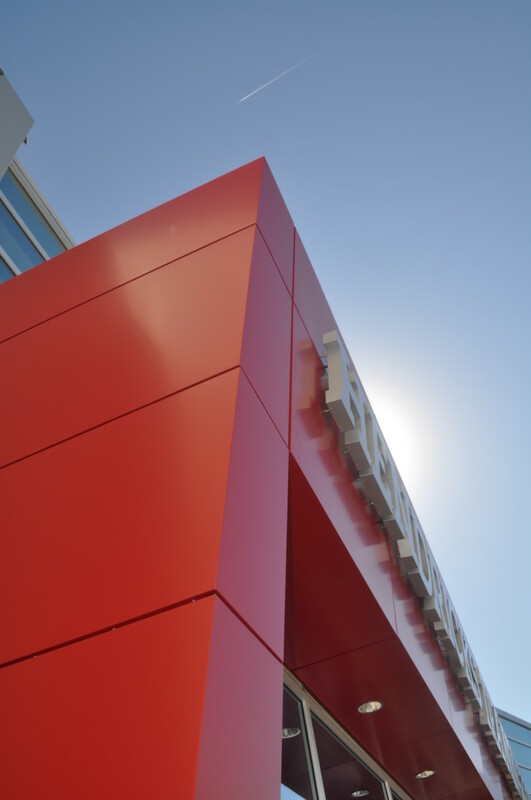 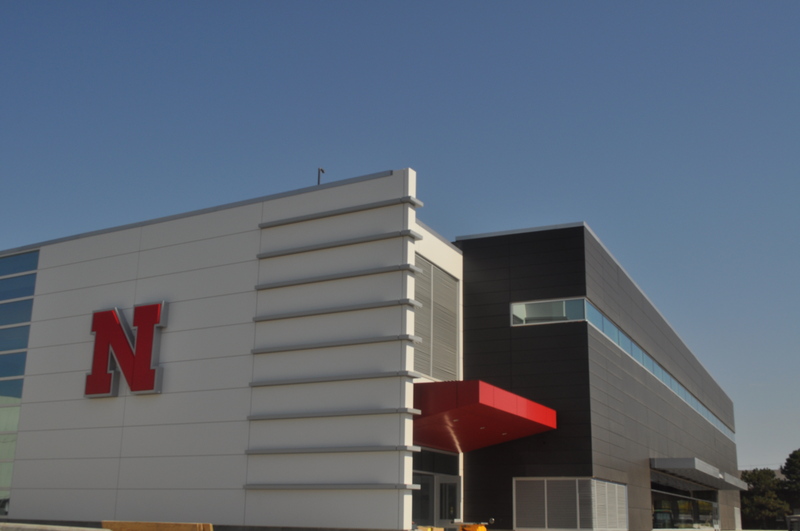 For the Bob Devaney Sports Center & Hendricks Training Complex, the designer selected a combined material approach of 8,000 square feet of Swiss Pearl Fiber Cement material, and 12,000 square feet of white, champagne metallic and red ACM. 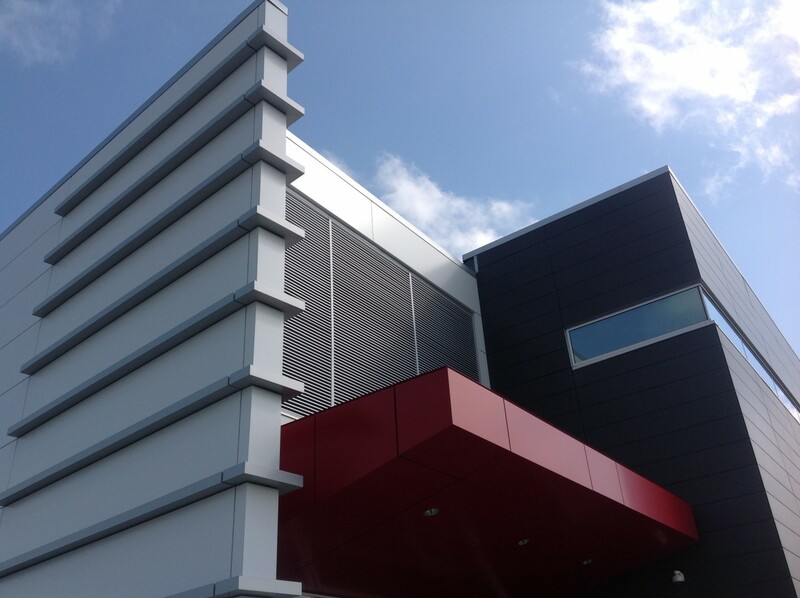 The MDSI Series 20 System was utilized for the ACM panels. 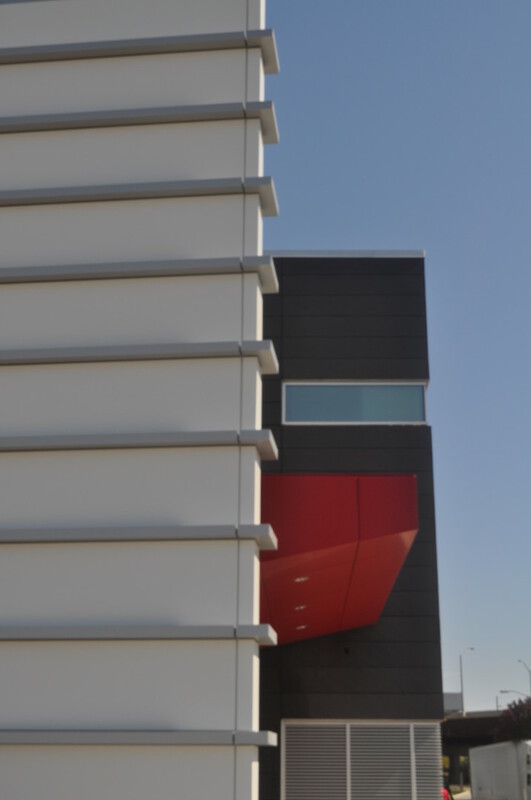 This includes features such as silver accent panels which protrude beyond the white ACM and wrap the ends of the façade, as well as cantilever canopies with lighting elements, a front tapered feature element showcasing the name of the sports complex, and an interior façade and column wrap panels. 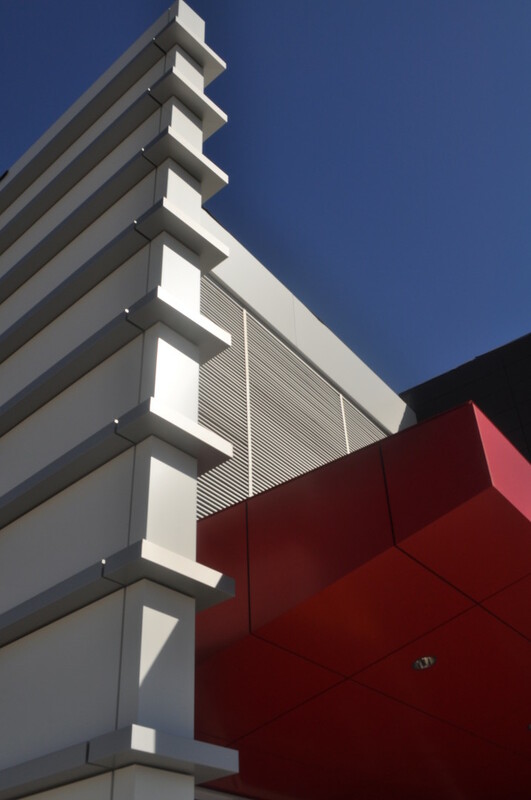 The Swiss Pearl was installed on a unique hidden fastener system in two varying patterns, adding a subtle texture change to the aesthetics of the design.